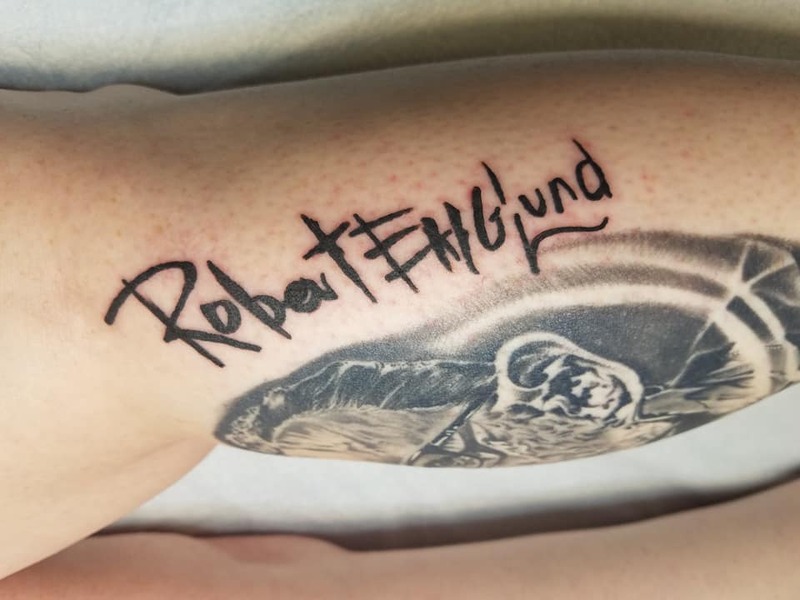 After I got my Freddy/Robert tattoo a couple of years ago I knew I wanted him to sign it and have that tattooed. Alamo City Comicon was the last weekend of October and I waited 3 hrs to have him sign my leg and it was SOOOO worth it! He liked the tattoo and my life is basically complete now! Thank you to his staff that was working the table with him and to the man himself Robert Englund!